Fitness Learning Systems in collaboration with the Medical Fitness Network and Alzheimer’s Research and Prevention Foundation are excited to bring you this unprecedented Specialist credential! This is a real credential you can have confidence will take you to higher places in your profession. This credential has everything you need to succeed! Be one of the elite professionals to achieve this unprecedented credential! Start stepping up the professional ladder and positioning yourself for better jobs and higher pay. At this time, there is no cure for fatal Alzheimer’s disease and prevention is key to avoiding this 6th leading cause of death in the U.S. Fitness has been found through research to be instrumental in prevention. 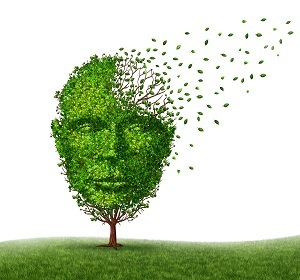 As the world population continues to grow and live longer, the issues of accompanying cognitive decline, dementia, and fatal Alzheimer's disease are becoming more prevalent, significantly impacting quality of life, health care systems, and the economy of many countries. This specialist certificate prepares you to provide valuable intervention for clients with the disease, and to help others prevent and delay cognitive decline. Prerequisites: Approved (accredited) Health/Fitness Certification or Licensure, or Higher Education Degree in related field. By Dharma Singh Khalsa, M.D. Course 1 provides important evidence-based information to help you understand cognitive decline and Alzheimer's relevant to anyone working as a health-fitness professional. It focuses on causes, risk factors, diagnosis, care partners, The 4 Pillars of Alzheimer's Prevention™, and preventive mental exercise. The course contains educational handouts for clients. This course reviews statistics, definitions, risk factors, and stages of disease progression. The primary focus of this course is evidence-based preventive physical exercise for prevention and intervention. Exercise guidelines and considerations are provided and sample exercises and programs are included. Continuing Education credit approved by most certifying organizations is included in the price of this specialist certificate program. Successful completion of both courses and course quizzes is required to receive continuing education for each course and to be awarded the Medical Fitness Specialist Training Certificate of completion. 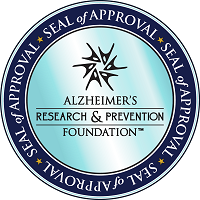 This certificate program qualifies you to provide exercise programs focused on prevention and intervention for cognitive decline and Alzheimer’s disease. A one-year membership to the Medical Fitness Network is bundled with this program. A Specialist “badge” will be placed on your MFN membership page to help clients and employers identify this credential. You will be listed on a credential verification database where your credential can be identified and verified as current. Copyright © 2016 Fitness Learning Systems Inc.